This City break tour is designed for those who are willing to discover life of the cities from medieval ages to 21st century in one day. During the tour you will meet culture, architecture, dishes, everyday-life and personalities of different ages. 08:30 – 10:00 Transfer from hotels to Trakai. 10:00 Trakai – Lithuanian capital of medieval age (Trakai old town and gothic Island castle of 15th century). 14:30 Renaissance Vilnius – capital of Grand Duchy of Lithuania (Vilnius University, Alumnus yard, Dukes Palace). 16:00 Tour through main Baroque objects with visit to churches of St Casimir, St.Theresa and Gate of Dawn. Transfer and visit of Neoclasical Cathedral. 18:00 Dinner at one of the best and stylish restaurants during soviet period “Neringa”. 19:30 Cocktail at Sky Bar with the view of 21st century Vilnius. During the two days tour the guests will learn major history facts of Lithuania by visiting its former capitals Kernave, Trakai, Kaunas as well as by getting acquainted with today's capital Vilnius. Guests will see most impressive buildings, visit outstanding museums, enjoy traditional cuisine. 10:30 – 11:30 Transfer to Kernave - the first Lithuanian capital. 11:30 Kernave tour and visit to Kernave museum. 14:00 Departure to Trakai – medieval capital of Grand Duchy of Lithuania. 15:00 Trakai city tour (Karaites museum, Trakai old town) and visit to medieval Island castle. 09:00 Kaunas city tour and visit to Pažaislis monastery. 12:30 Transfer to Rumšiškes open air museum. 13:00 Lunch in Rumšiškes with traditional dishes. During the two day tour the guests will visit Lithuania's gateway to the Baltic Sea - the port city of Klaipeda, explore a significant nature reserve the Curonian Spit, a sandy stretch of land filled with sweet scent of pine trees, enjoy the country's most popular seaside resort Palanga. 08:00 – 13:00 Transfer to Palanga with visit of Hill of Crosses and former missile base in Plokstine. 14:00 Palanga city tour with visit to Amber Museum and Palanga pier. 16:30 – 18:30 Klaipėda city tour. 08:00 Departure to Curonian Spit with visit of Hill of Witches and Dead dunes. 11:00 Nida tour with visit of Amber gallery, Thomas Mann museum and dunes. 13:00 Lunch in Nida with traditional dishes. This two days tour will take you to major Spa resorts in Lithuania. You will visit Trakai, Druskininkai and Birštonas Spa centres and hotels as well as other tourist and nature attractions to experience Spa treatments. 08:30 – 11:00 Tour to SPA centres in Vilnius. 11:00 Tour to Trasalis in Trakai. 16:00 Visit of Druskininkai treatment center and Water amusement park. 09:00 SPA site inspection in Druskininkai. 15:00 SPA site inspection in Birštonas. Whether you are looking for adrenaline fuelled or remote and relaxed programs this two day tour will take you through the most significant places in Lithuania to enjoy the water streams, skiing in Snow Arena, try out your skills at tracks in the trees and a lot more. You will also get acquainted with traditional crafts, visit a small cheese production farm. 10:00 Transfer to Trakai - the medieval Lithuanian capital. 11:00 Visit of Tony Resort (The best new tourism object 2010). 13:30 Departure to Druskininkai with visit of Cheeze Makers House - local cheese producer, Zervynos village and Countryside villa. 09:00 Site inspection and activities in Druskininkai (Druskininkai camping). 11:00 Transfer to Harmony Park. 12:00 Lunch and site inspection in Harmony Park. 14:00 Transfer to Esperanza Resort. 16:00 – 16:30 Tony Resort site inspection and visit to Trakai. Bauska Old Town has retained its original regular planning, including the Church of the Holy Spirit (16th century) and the Town Hall (17th century), which it is hoped will eventually be renovated, and many of its 18th – 20th century structures. The castle is located in the Town of Bauska, amidst picturesque scenery on a strip of land between the Rivers Mūsa and Mēmele, not far from the place where they flow together forming the Lielupe. The Rundāle Palace is set amidst the fertile Zemgale Plains in the south of Latvia. The Rundāle Palace ensemble, one of the most outstanding monuments of Baroque and Rococo architecture in Latvia, was built between 1736 and 1740 as a summer residence for Ernst Johann Biron, Duke of Courland and a favorite of the Russian Empress Anna Ioannovna. The palace was designed by the Russian court architect Francesco Bartolomeo Rastrelli and built under his supervision. Mežotnes pils (castle) is significant classical style building (1802) has been renovated in 2001. The castle is surrounded by a well-kept English landscape park. Exclusive guest rooms with authentic furniture and accessories from the times of princes' von Liven (the beginning of the 19th cent.). Latvian Tourism Development Agency (LTDA) is a state institution supervised by the Ministry of Economics and established for implementing tourism development state policy. 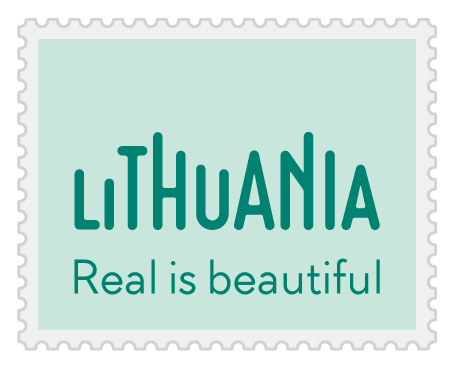 The Agency implements state tourism policy and promotes development of tourism as a sector of national economy in Latvia. About Riga Tourism Development Bureau (RTAB) in year 2009, foundation Riga Tourism Development Bureau was registered with the Register of Enterprises of the Republic of Latvia, by its founders – Riga City Council, national airline airBaltic, the Latvian Hotel and Restaurant Association (LVRA), and the Latvian Travel Agents' Association (ALTA). RTAB will be engaged in tourism promotion and popularization of tourism opportunities in Riga. A guided walking tour of the medieval Old Town of Riga will lead you down the cobbled stone streets highlighting the most beautiful sights of the medieval Old Town: Riga Castle, Dome Square and Dome Cathedral, St. Peter's Church, Town Hall Square and the House of Blackheads, the Great and the Small Guild Halls, the fortification wall of Riga, the Swedish Gate, etc. Views from the bus: District of Art Nouveau, the Ring of Boulevard, parks and the beautiful Riga Canal. Freedom Monument, the University of Latvia, the Russian Orthodox Church,, the Academy of Fine Arts e.c. Alberta Street - a section of the historical part of Riga which is famous for its beautiful Art Noveau architecture. Riga is known all over the world as the Metropolis of Art Nouveau because nowhere in Europe does Art Nouveau define the cityscape, so delightfully, as it does here. Riga's Central Market is one of the oldest and largest markets in Europe and one of the top tourist attractions in Riga today. Using the original structures of the Zeppelin aircraft hangars, the construction of the market was finished in 1922. It features five different food pavilions including meat, dairy products, bread, fish and vegetables. Located near the Central Market, on the banks of the Daugava River, the Spīķeri Quarter consists of a dozen two and three-storey brick buildings that served as warehouses during the nineteenth and early twentieth centuries, first for the port, then the railroad, and finally the nearby market. To date, five of the old warehouses have been fully renovated, and are now home to some of the hottest cultural venues in town, including a bar and performance space at Dirty Deal Cafe, a gallery for the Latvian Contemporary Art Museum, and a marvelously acoustic concert hall for the chamber orchestra Simfonietta Rīga. Sigulda's name has for years been associated with the feeling of comfort - both the brisk fresh air of the Gauja riverside and natural resources heal here. Sigulda offers breathtaking mountain slopes for those seeking adrenaline. Sigulda pleases with long exciting journeys into the past - Three medieval castles and picturesque landscape. Sigulda plays emotionally exciting musical events for different tastes. Situated on both banks of the ancient valley of the Gauja River, Sigulda is one of the most beautiful cities in Latvia. The town of Jūrmala is proud of its unique natural resources – therapeutic thermal waters, peat mud, pine forests, healthy maritime climate, dunes and beaches covering 32.8 kilometers of quartz sand and "The Blue Flag", It is an excellent place for family holidays. Jūrmala health resorts and SPA centres offer an extensive range of beauty and health-care procedures. Until 10.00 Breakfast and possibility to use SPA. Leave your email address and we will let you know more about the upcoming event.